Don’t feel bad if you get agnostic from time to time! Doubting is a necessary thing according to the great philosopher and mathematician, Rene Descartes. In the course of our homeschooling today (annoying Cartesian math for 8th graders!) we looked up Rene Descartes for the fun of it. Up came a bunch of his famous quotes — for once not the “I think, therefore I am” quote. Agnostics, skeptics and spiritual seekers will appreciate his words. I tried to think of when this doubting of all things might have happened to me. Then I remembered as a young college student my jaw dropping over the Mithras-to-Jesus similarities. Birthdate, Roman-style worship, 12 disciples, etc. I was already upset by the absence of a God-the-Mother and God-the Daughter, and suspicious of all the (wonderful!) pagan elements in Judeo-Christianity. The Mithras stuff and Acharya S’s exaggerated correspondences pushed me into full doubt-mode for a short while. I had to rise up from either / or belief and mature into both / and. As in, yeah, Mithras, Jesus, Dionysius, Adonis, were probably the same — and Horus the Light of the World. Then there is Helios, El, Allah with the “EL” name of God hiding in there. Adonis is similar to Adonai, also. Paganism, Monotheism, Gnosticism, ALL of it. It is the same. They are BOTH true, this AND that and that and this, too. There is no black and white, no either / or in spiritual truth. Then again, I will probably never grasp the Truth with a capital T. I really like the title Gnostics gave to Mary Magdalene. She was the Woman who knew the ALL. Gnostic knowing is spelled with a g. She gnew it in her marrow, it was the ultimate gnowing. A recent claim says the Cathar heretics never existed. You may have heard of them, the Cathars were persecuted (hunted, burned) by the Roman Church in the Dark Ages and had to go underground. Margaret Starbird nicely refutes the claim they never existed (see below). I love her take on it, especially the way she likened the Cathar heretics to the Tea Party “heretics” today! The Cathars — or “Purist Christians” — did indeed exist. Over 200 of them were burned alive at Montsegur, France in 1244. So uh yeah, I think they existed. The historical record agrees. See Cathars. The cool map above shows their location and dioceses. The Cathars are known as the greatest heresy of the Middle Ages, perhaps in all of western culture. Yet new scholarship reveals that the Cathars never existed. They were a fabrication and projection of both heresy hunters and romance hunters. We deeply understand one of the greatest historical mistakes in all times, as well as how it forces much of medieval history to be completely rewritten, including that of Christianity…and Gnosticism and Occultism as well. I listened to this entire interview with Dr. Pegg posted on YouTube. I agree with his assessment that “Catharism” did not exist as an organized religion (with central leadership, foundational documents and doctrines) in the 12-13th centuries. What DID exist were numerous groups of people (like St. Francis of Assisi) who used the Gospels (translated into their own Old French dialect, the Langue doc), to interpret the presence and teachings of Jesus in ways that challenged the rigid hegemony of the Roman Catholic hierarchy. The German word for “heresy” is “Ketzerei,” which is suggested a possible source for the word “Catari” (Cathars). But the Latin root (“cathar”) means “pure.” Apparently medieval heretics claimed that their faith was “purer” than that of Rome. St. Bernard of Clarivaux was sent to examine the heretics of southern France and proclaimed that no teachings were more Christian than theirs. My own belief is that these “heretics” (now called “Albigensian” — the general region where they lived—or “Cathars”) were actually Christians who embraced the Gospel of John with its radical message the Christ was present in their daily lives and “walk with the Spirit.” Researchers have always known that the medieval “Cathars” didn’t leave charters and documents. They were living and preaching a “life in the Spirit”—not creating a formal religion. Also permeating the underground faith of the region was the “great secret” the Jesus and Mary Magdalene were “Beloveds”—attested in a History of the Albigensians written in 1213 by Pier vaux-de-Cerrnay. I have visited the church in Beziers where the “Cathars” and other villagers who sought sanctuary were burned to death when the church was torched on Mary Magdalene’s feast day, 22 July, 1209. Pier Vaux-de-Cernay, a chronicler who wrote about the event in 1213 said that it was Divine Providence to punish the Cathars on that day for their slanderous belief that Mary Magdalene and Jesus were lovers. Other medieval documents assert the “Cathar” belief that Jesus and Mary Magdalene were husband and wife, and apparently this is one of the reasons the Roman Catholic Church was so eager to suppress them. Of course the annals of the Inquisition would not record this belief of the heretics; why would they want to perpetuate the heresy they are trying to squelch? As discussed in two of my books, “The Woman with the Alabaster Jar” and “Mary Magdalene, Bride in Exile,” the art and artifacts of medieval Europe retain evidence for the heresy of the “Sacred Partnership” of Jesus and Mary Magdalene. Dr. Pegg may well be correct in his view that “Catharism” never existed as an organized religion, but the fact that P. aux-de-Cernay’s “History of the Albigensians” was written in 1213 would prove that the heresies of Provence were virulent and brutally suppressed by the Church of Rome. Those heresies were an anti-clerical “grass roots” movement that grew out of the Gospels themselves—encouraged by wandering preachers. In a way they are like the modern “Tea Party” movement— a group of like-minded citizens unite in the belief that the central government in DC (like the Roman Church of the 12th -13c) is hopelessly corrupt and is distorting their “foundation documents” and teachings (the Constitution of the USA today, the Gospels in medieval Europe). The “heretics” in both cases are only loosely connected by certain core beliefs—not in any formal, institutional sense. I was amused that Dr. Pegg mentioned [the book] The DaVinci Code, since Dan Brown, a novelist writing fiction, borrowed his ideas from Holy Blood, Holy Grail, and from two my books (which he mentioned in DVC). I would have liked for De. Pegg to have commented on the massacre at Beziers in 1209 and on the siege at Montsegur and burning of 200+ heretics there in 1244… are they not history and incontrovertible proof that “Cathars” existed and were persecuted into near extinction? I’m always amazed at the contortions New Testament scholars go into in an attempt to avoid seeing and stating the obvious. The CNN “special” segment about Mary Magdalene aired tonight. One scholar (Dr. Nicola Denzey Lewis) declared twice that “ground zero” for the idea that Mary Magdalene was the wife of Jesus was the Gospel of Philip, which states that Mary was the “companion” or “consort” of Jesus and that he kissed her often on her…. (sadly the location is missing, but we are told that the apostles were jealous of Mary….because Jesus loved her more than all the rest of them…. Gospel of John which names the woman who anointed Christ at the banquet at Bethany (Mary) and dried his feet with her hair and follows the passion narrative all the way to the sacred reunion of the Sacred King and his Bride at the tomb on Easter morning. This has nothing to do with the (2nd or 3rd century) Gospel of Philip. All four canonical Gospels mention the anointing of Jesus by a woman and three place this event in Holy Week—followed closely by the Passion of the Christ and his resurrection. This liturgical sequence is reminiscent, even a reenactment of ancient rites of “hieros games” indigenous to the Near East—where the Sacred King is anointed and united in marriage with a royal priestess/princess and later sacrificed, mutilated, executed and entombed. After three days his Bride/consort returns to the tomb to mourn him and finds him resurrected. These ancient rites go back to neolithic times and are repeated in the Gospel narratives, where Mary and Jesus embody the archetypal Bride and Bridegroom “in the flesh”—. fill in the gaps, placing them in Gaul around AD 42…. But why did they leave? One afternoon in 1988, I sat down at my computer and wrote a story—which is now the fictional opening “Prologue” in my “Alabaster Jar” book—explaining how we came to lose the Beloved of Jesus for two millennia. Sensing danger to the wife of Jesus, Joseph of Arimathea, the “custodian of the Grail,” came to her on Easter in the evening and convinced her to flee with him to a place of safety…which would only have been necessary if she were possibly pregnant with—or the mother of—a child of Jesus. Protecting the royal family would have been a top priority of the friends and followers of Jesus, the Davidic Messiah of prophecy. Imagine her—meditate on her—over these coming days, riding on a donkey across the Sinai under the protection of Joseph of Arimathea—“defiled and defamed” seeking refuge in a foreign land, fulfilling the prophecy of the “Magdal-eder” from Micah 4:8-11. One of our GoddessChristians members — his name is Klaus M. from Germany — just sent this awesome photo of a newly discovered “John the Baptist” cave in the Holy Land with mysterious subterranean chambers. John Baptizer used to hang out in the desert as you recall, teaching the mysteries and initiating/baptizing people who came in throngs to hear him. He was arrested because of a beautiful princess Salome’s intoxicating dance of the seven veils, but that’s another story. He hid deep in this cave, trying to avoid Herod’s soldiers. Perhaps both John the Baptizer and Yeshua the Anointed (aka Messiah) were initiates of the full Godhead, of the Creators Divine Mother and Ancient of Days Father God. Alawites (like Assad of Syria) believe you can be reincarnated as a plant. They won’t eat certain kinds of plants because it might be a relative… This might be why Yazidis still don’t eat lettuce. Zoroastrians hate cats because they believe they are inhabited by evil spirits. I knew they worshipped dogs, and that during the Iranian purge of Zoroastrians, the new religionists (Muslims) would attack the Zorastrian family dogs. But I didn’t know they fear cats to this day. Ironic that Muslims fear dogs to this day, won’t touch them due to them being unclean. The Druze (such as George Clooney’s new wife) believe in family reincarnation, not just “ordinary reincarnation.” Druze believe they can reincarnate as other Druze (much like Northern European “heathens” believed). Furthermore, Druze youth must be initiated into the religion or they don’t get to know the secret inner teachings. The article author doesn’t know if Mrs. Clooney was actually initiated into her ancient faith as a teenager. I knew the Druze were an esoteric religion influenced by Plato and Aristotle — they are Gnostic neo-platonists, but I didn’t know they were so secretive of their full teachings, requiring initiation of their youth. The reason the Yazidis put conical shaped rooves on all their temples. It was done to represent the Sun-god’s rays — these people date back to the time of the Pharoahs. The Yazidis invented the handshake, it is connected to the Mithras worshippers secret handshake. The Yazidis won’t eat lettuce, and their long mustaches symbolize they are worthy to learn secret teachings. There are Gnostics (with a capital G) that survive to the present day, not only the Druze in Israel, Jordan, Lebanon and Syria, but the Mandeans who have been quietly hiding out for 2000 years in the marshes of southern Iraq. They are neighbors with other religious hiders such as the Marsh Arabs who worship pre-Islamic gods of Mesopotamia — Old Testament “pagans” who live near the spot the Garden of Eden supposedly once stood and know it. If you want to hear the language spoken by Jesus / Yeshua and Mother Mary, and Magdalene, you no longer have to travel to hidden villages in Syria and Iraq. You can go to Detroit, USA. Yes, indeed there are now more Aramaic speakers settled there than in my favorite ancient Christian village of Maaloula, Syria (now completely deserted thanks to al Nusra terrorist murderers). We study the Aramaic Lord’s Prayer in our Esoteric Mystery School lessons, it is so beautiful to hear in Aramaic and even to read and speak in the English translation of the Aramaic. The Aramaic version up until 2013 was sung daily by children’s choirs in Maaloula — a favorite experience for Western visitors to Syria. That experience is lost now forever unless the nuns of St Thecla Monastery / Convent somehow survive Syria’s dissolution and somehow manage to return there in the distant future. But even if the nuns go back, and clean up their pillaged, desecrated mountain-top home, will the Christian families who lived there since the time of Christ also come back? Doubtful. Most fled to Damascus in 2013, a few made it out of the country. I wonder how many are in Detroit…and if any of them can sing the Lord’s Prayer. A haunting, lovely, other-worldly sound…. You can still find it on YouTube, thanks to religious tourists in 2010 before the Syrian Civil War. Search for St Thecla Syria Aramaic Lord’s Prayer. Freddie Mercury, legendary lead singer of Queen, was born into a Zoroastrian community surviving in exile. He was even initiated into the religion as a coming-of-age ritual — just like boys 3000 years ago. Where are You in the 4 Phases of Belief? First there is a time when we believe everything, then for a little while we believe with discrimination, then we believe nothing whatever, and then we believe everything again – and, moreover, give reasons why we believe. 4. and then we believe everything again – and, moreover, give reasons why we believe. PHASE 1. First there is a time when we believe everything. This refers to childhood. I remember my own. I have raised or am still raising six kids. How trusting my young daughters are. All of them are less than 13 and they believe everything I tell them about God-the-Mother, God-the-Father, Jesus, Magdalene (and about Daddy for that matter…hee hee). Young children eat up facts and opinions, “absorbing” as it is sometimes called. Conveying our adult beliefs to our kids is part of feeding and nurturing. Next, like their 3 older siblings, they will no doubt “wise-up” a little bit, get skeptical, when they become teens. I have two teens and one young-twenties. About the age of 12 or 13 they got downright quarrelsome over Bible stories and religion, although they would still come to me and ask what was the deal with this or that spiritual figure — from everything to Buddha, Jesus, Lucifer, Sophia, Shiva. Or what is the deal with Wicca and “spells”. They wanted to know, but they were dubious, no longer eating up my words, beliefs and opinions like they eagerly ate up the Happy meals and Taco Bell I sat before them. That means I guess they entered phase 2. PHASE 2. then for a little while we believe with discrimination. Yeah, believing with some healthy skepticism. After going on for a little while like this, we become burned, and then after a season of pain, we end up jaded, right? That leads to the next stage of believing in nothing at all — when it all seems like a bunch of crap. We have been misled! we cry. We have been deluded all these years. All that religion junk our Mama taught us is not real. Fairy tales for kids. O how sucky that phase was. Occasionally I still get an “agnostic fit” here and there. Such a pain. During those fits I have to talk to god like this, “Okay, so why is this happening Lord. I mean, IF you even exist and are even hearing me… But let’s say you DO exist, then what is going on…or why is this troubling me…or what is the answer to THIS mess…?” yada yada. I remember once in my early 30s giving away a TON of spiritual books on traditional Christianity because I was no longer in-belief of that shtuff. I thought it wasn’t authentic enough, too many humans had messed up Judaism and Christianity. I believed none of it (for about two months…hah). I thought perhaps I could find the “authentic” belief-system in Gnosticism or pre-Christian beliefs of MY ancestors. But of course nothing feels authentic when one is in this phase 3 of dis-belief. How depressing that phase is. I think a lot of people lose spouses during this time. Surely many people die stuck in this phase, too. Even more may never make it to this phase…yikes. Much less, to the NEXT and final phase. Supposedly it is the final phase of belief, but maybe there is a phase 5, a transcendent phase follows that Lichtenberg didn’t notice or chose not to speak of. PHASE 4. and then we believe everything again – and, moreover, give reasons why we believe. I remember when this phase began because I found my mouth speaking, and my hands typing apologetics. Me, an apologist!? It felt so odd…yet exhilarating. It didn’t happen til I was 40. <snort> Interesting the Jewish Kabbalists insist you must be 40 before they will start teaching you true Kabbalah. Since then I have never sunk completely back into phase 3, just dipped in for fleeting moments of doubt or despair. A few years ago I pondered why I hadn’t had one of my “agnostic fits” in so long. Evolving had escaped my notice. I had become an apologist, evolved (finally!) beyond the agnostic “professional skeptic” stage. Posted on March 7, 2011 March 7, 2011 Categories Existence of God, Gnosticism, Kabbalah6 Comments on Where are You in the 4 Phases of Belief? The infamous arrest of the Knights Templar was carried out on Friday the 13th of October, 1307. The day lives in the memory of Westerners, though they may not know why it is so “dangerous.” It actually goes back to the Hebrew Bible, the book of Esther, when the evil Haman persuaded Esther’s husband, the King of Babylon, to arrest and execute her people, the Jews, en masse. Ultimately, I think scholars will agree that the faith of the Templars was based on ancient “Ebionite” or “Judaic-Christian” roots that included the full humanity of Jesus (including marriage and parenthood). I’ve just finished reading two very interesting books, following up on the recent airing of a documentary on the History Channel called “The Grail in America.” The basic text supporting the film was Scott Wolter’s “The Hooked X,” while the novel, Cabal of the Westford Knight by David S. Brody, is a very informative follow up. Both books fully support the idea that the “great secret” described in my Tarot Trumps and the Holy Grail was the survival of descendants of Mary Magdalene and Jesus.– It’s interesting that artifacts on the east coast of the US (New England) and Canada have surfaced and support the claims that heirs of Templar traditions (engineering and sacred geometry, among others) attempted to settle in the “New World” a century before Columbus. 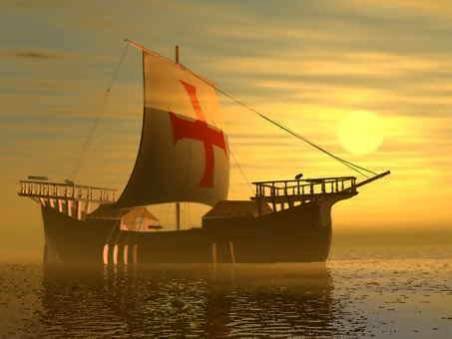 Assertions have been made for decades that some Templars survived and fled by ship to Scotland (which was under interdict at the time of their arrest). Perhaps their descendants were eager to find a place that was beyond reach of the Vatican and the Inquisition… why not sail west? and a much larger role in Eastern Orthodoxy. relevance of Sophia in modern spirituality. theology, women’s studies, and New Age culture. he Greek word for “Wisdom” is Sophia. Read the rest of “Sophia: the Gnostic Heritage” by John Nash. Saved not by truth, not by gnosis, only by faith? Someone viewed our Seminary website and emailed me the following thoughts. Not sure what I think, if I agree with her. See my thoughts below her letter. I came across your site, and was interested to see how you blend what you describe as esoteric or mystical concepts with variations on Christian faith. I became a Christian last year, and have found that yes, Christian faith is a mystery. from the outside, it makes little sense. that God would or could limit Himself to One Man, and that One Man’s death could do anything for us. the concept that we are saved not by striving after truth, or by our insights, but by faith in Jesus strikes us as counter-intuitive. We have this idea that spiritual truth and freedom is something we have to work for, find out, discover, or look within ourselves to find. but the One who said plainly “if the Son sets you free, you are free indeed” did not mean for us to try to reach God, peace, enlightenment, or wisdom through our own efforts. if we could do that, God would not have sent His Son, who proclaimed Himself to by the Light of the World, the Bread of Life, and the giver of living water. We all long for union with God, and some kind of understanding. but we are meant to seek and find that not within oursleves, or through concepts, but in and as a unique Person, who lived, died, and lives now. it’s that humbling one’s self before Jesus the Person which is most difficult. we long to treat Him as a symbol, nice man, teacher, or idea, or perhaps as a blue print to what we can become, if we too “wake up” to the fact that we and God are one. yet the truth is that we need Jesus. the gap between us and God, which we may try to bridge through innumerable means can not be bridged by us, but has been bridged already by God, as and through His incarnate Son. because He died for us, and lives now, we too can live. Realizing that somehow, Jesus could give me something i could not get myself, and coming to the point where one humbly asks for Him to help you, is hard. it takes a toll on self, ego, pride, and the intellect. but coming to that point is so worth it. Ravi Zacharias describes it as “you humble your self before Him, and He accepts you”. and in that acceptance is a real new life, new self, and walk with God. In and because of the historical, pre-existant, and now living Jesus. Definitely seems counterintuitive as she says to think one man’s death could “save” us, no gnosis, no awakening required. So I think I don’t agree with her. I think Jesus died because of man’s actions, and maybe some of Satan’s, and because he didn’t want his followers to be killed in a hunt for him. I don’t think he died to satisfy a justice-obsessed god who needed to see a broken bleeding god. And if he died to defeat death, to “save” us from death, why haven’t we been saved from it yet? No evidence things in that department are any different than before the crucifixion. However we do have evidence that Yeshua’s MESSAGE has made things different, “saved” people, by waking them up with the achievement of gnosis, leading thousands of bright souls to commit acts of charity and kindness, to unselfishly guide and aid the humans around them. Most people go thru their lives not really guiding and aiding humanity. Jesus inspires people to wake up and spread the gnosis. This humbling yourself before him as the lady above describes could be the quieting of the selfish-me, the “humbling” or taming of that me-me-always-me persona in our heads (eg0). Posted on September 13, 2009 Categories Gnosticism, Religion8 Comments on Saved not by truth, not by gnosis, only by faith? Thank you to all who have sent their congratulations and blessings on my consecration to the Episcopate (being made a bishop). It took place on Trinity Sunday, June 7, 2009, at the Chapel of Saint Sophia in New Jersey with family and friends in attendance. My eleven year old daughter even held the prayer book for the Archbishop. It was a wonderful thing, I am still “floating” so to speak, buoyed by the Holy Spirit. Archbishop Christian Umberger, XP here crowns (aka “miters”) me with the miter near the end of the rite. The miter symbolizes the flames of the holy spirit, Divine Sophia, that descended and settled on the heads of the apostles at Pentecost. You can see my crosier and even my new bishop’s ring in the photo. I wish you could see the detail of my bishop’s ring because it matches the Cathar stele monument symbol at Montsegur. I took the ecclesiastical name +Sophia-Katarina. Archbishop Christian-Thomas (Umberger) and I along with others founded a semi-Gnostic Catharist early Christian style seminary for those wanting to pursue Holy Orders with Apostolic Succession. Come study with us as a seminarian, or if you can’t, perhaps join in the discussions here at the Seminary forum.